As government IT seeks ways to be more innovative and responsive to keep up with increasing workloads and demands, open hybrid cloud offers hope as a means to meet growing mission challenges. Nowhere is cutting-edge IT more important than in government agencies. Federal missions are critical for protecting, serving and helping the public and those missions often present significant IT challenges. As mission requirements and capabilities expand, workload on government IT shops also increases and they are often stretched to the limit trying to address demands. For many government IT challenges, an open hybrid cloud solution could be and answer for evolving software, NextGen Services and security, and infrastructure needs. 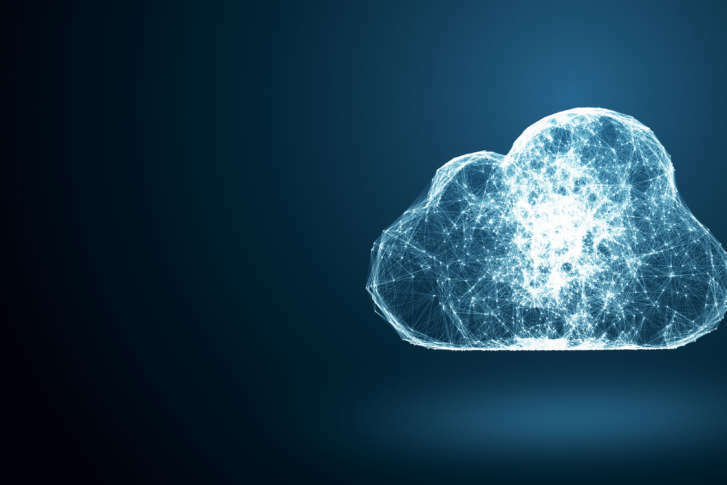 “Hybrid cloud is a cloud computing environment which uses a mix of on-premises, private cloud and third-party, public cloud services with orchestration between the two platforms,” explains TechTarget. Except that description is too simplistic because today’s hybrid cloud can involve multiple public cloud providers and services, alongside private cloud options. An open hybrid cloud solution enables government IT shops to provide flexible and agile service delivery with minimal disruption using current/existing infrastructure. At the same time, it establishes a fast, flexible and agile service-delivery environment supporting today’s traditional workloads and tomorrow’s cloud-based applications. Open hybrid cloud leverages innovation, economics and flexibility by providing access to the best service providers, vendors and technologies without getting locked in. Open Source solutions are leading the industry in rapid innovation and delivering secured open hybrid cloud. “If you automate your way into the cloud, you can automate your way across to another cloud and start making spot market decisions about what cloud you want to be in based on what you’re trying to do,” says Adam Clater, chief architect for North America public sector at Red Hat. This approach offers cost savings because agencies aren’t committed to an ongoing production environment. Resources can be allocated depending on the demands of workloads that increase or decrease based on service requests. Many government IT environments rely on a virtualized infrastructure like VMware. As a result, workloads are tied to VM deployments, limiting flexibility and agility. Moving to an open cloud hybrid architecture enables IT shops to take the next steps beyond virtualization while establishing a service delivery (cloud) environment, while simultaneously leveraging existing infrastructure with minimal disruption. Infrastructure is still needed (physical, virtual, private/public cloud), and forms the resource layer enabling the delivery of today’s workloads as well as tomorrows NextGen services and container platforms. Containers have emerged as an application-centric, better way to simplify and automate app/service development, delivery, and ops. This presents new operational challenges from this separation (abstraction) of the infrastructure (resources) layer and the (container) application platform, creating a need for effective cloud platform management and deep integration. Open hybrid cloud avoids this problem by allowing IT to freely choose and move among public and private providers and vendors as needed. It provides an effective exit strategy without requiring a long-term commitment of money and resources. As government IT seeks ways to be more innovative and responsive to keep up with increasing demands, open hybrid cloud offers hope as a means to handle growing mission challenges. Adopting an open hybrid cloud solution is as simple as contacting a partner like Red Hat to learn how its use can enable government agency IT departments to meet increasing IT workloads.